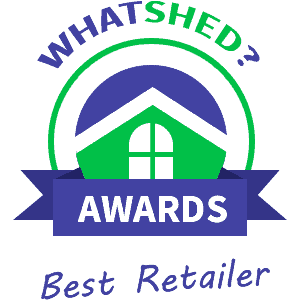 Here we have the most popular greenhouse retailers in the whole of the UK and today we are getting a little bit more in depth by seeing who is the best plastic greenhouse retailer. No matter if you are looking for a greenhouse that has a plastic framing or is made from polycarbonate panels, by the end of this top ten you are going to know what is the right retailer for you. We have looked at who has the best selection, who is offering the most user friendly experience and who gives the best information for the greenhouses that they sell. So get your green thumbs ready because by the end of this you will certainly be excited to get some gardening and vegetable growing started. greenhouses made from a type of plastic sheeting that cost well under £100. We feel this would be a great way to try your hand at gardening or even give yourself an extra bit of space to grow things. We love how they have things like this mixed in with larger and more expensive plastic greenhouses. The info they give for each one and the amount of pictures is just ideal and in all this really is the first site you need to look at when you are searching for a plastic based greenhouse. do have a good selection of lower priced and more high end plastic greenhouses which we liked to see. Most of the greenhouses that we looked at had multiple photos as well as a good description so this was a very user friendly site to have a look around. greenhouse selection on Taylors Garden Buildings may be a little bit busy for some of you, but if you do take the time to comb through their vast selection of greenhouses, then we are sure you will find that perfect plastic greenhouse for you. One thing to watch for is that many of the greenhouses they have only have one photo to showcase them – we really would have liked to have seen a few more photos used, especially for the more expensive greenhouses. with this minor complaint, this site has some fantastic, polycarbonate based greenhouses that will be perfect for growing your vegetables and taking care of your plants. Multiple pictures and easy to follow descriptions make this a site that would be great for a first time buyer as you get all the info you need. that we have not seen anywhere else. Now these are on the high priced side, but for those of you who are serious about your gardening and only want the very best, then Sheds.co.uk do have some of the most impressive plastic greenhouses of anyone on this list. We really like how they show them off with a few photos and also give detailed descriptions of each greenhouse. Which is good as if you are spending this kind of money you want to know exactly what you are getting. more basic in their design, but we feel are perfect for a person new to this kind of thing. So someone looking for just a little extra growing space and who does not want to spend any more than £50. With plenty of pictures and a descriptions that are easy to follow, Homebase is by far the site that surprised us the most on this list. the amount of photos is fine, but we had to rank them lower than Homebase as their selection was not as good. Still if a cheap greenhouse is what you are after then we do recommend that you have a look at the ones that are on offer here. priced greenhouses. We feel that the site really could have had a few cheaper plastic greenhouses like B&Q are offering. feel they could have placed here, even if they do have a metal frame. The way they have left this section empty may lead to many people just closing the site and looking elsewhere, even though they do have a great selection of polycarbonate greenhouses on their site. So while you can get a truly incredible, polycarbonate based greenhouse here, you will have to do a little clicking around to find it. we would have liked to have seen a section specifically for plastic framed greenhouses. If a plastic greenhouse is what you have your heart set on then we would advise that you look elsewhere.